Doudy Draw is a peaceful gateway to a larger network of excellent trail that border the natural boundary between prairie and mountain. Varies depending on what trail(s) you get on. Non-Boulder County residents must pay a $5 parking fee (or an annual $25 pass). On the southern fringe of Boulder, Doudy Draw trailhead offers a fine network of trails that tour the exact place where the eastern prairie begins to rise up into the Rocky Mountains. Though it is a multi-use trail open to mountain bikers and equestrians, people tend to spread out quickly and the area is rarely crowded. 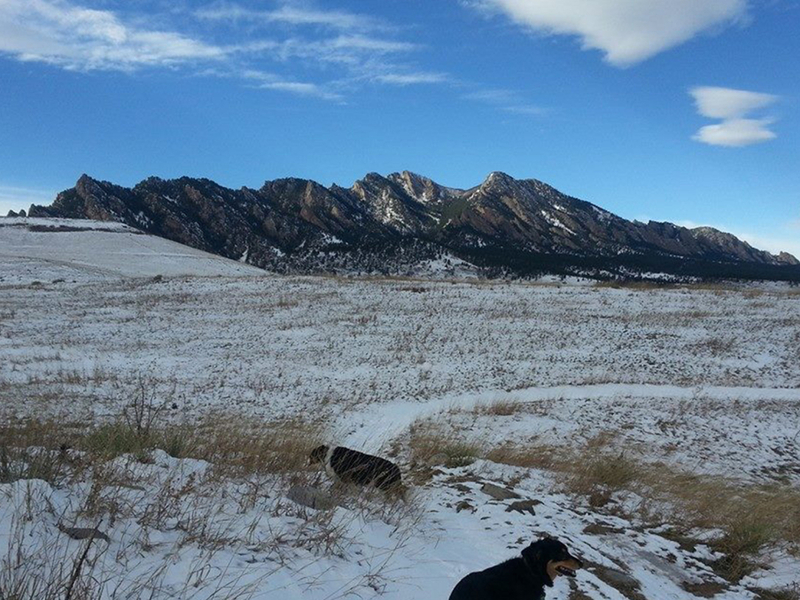 Doudy Draw is less crowded than other Boulder hiking destinations such as Chautauqua Park and Mount Sanitas. It’s also more wide open and peaceful. Because it is set apart from the city proper, it’s easy to feel like you’re in the wide-open mountain west rather than ten minutes from a major city. 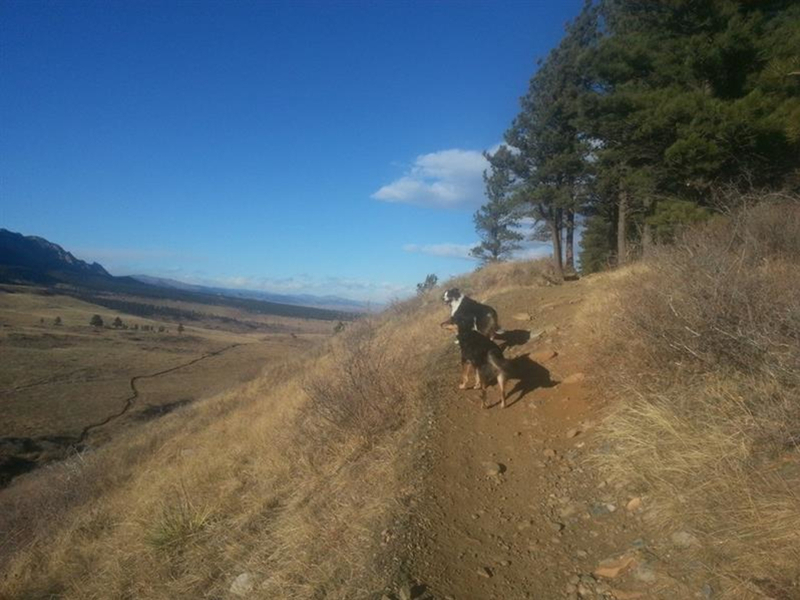 There are many trail options, making Doudy Draw a great option for those looking for a quick hike or a longer adventure. The Spring Brook loops shouldn’t be overlooked -- they explore a shady forest with nifty rock outcrops that initiate the rise of the great Rocky Mountains. The first 0.5 miles of the trail is along a peaceful gravel path. At the end, the trail splits left along the Community Ditch Trail (which connects via the new Highway 93 Underpass to Marshall Mesa) and continues straight along the Doudy Draw Trail. 1.2 miles from the parking area, the Doudy Draw Trail meets up with the Spring Brook Loop network, a collection of trails that goes into the western foothills forests. If you prefer to stay on the plains, continue farther another 1.0 mile to the end of the Doudy Draw Trail atop Flatirons Vista. A moderately steep switchback climbs up the mesa, where expansive views of Boulder to the north open up with every step. Once atop the mesa, there are plenty of hiking options along the Flatirons Vista loops and the Prairie Vista Trail. It’s possible to hike to Highway 93 and cross the road at a crosswalk and continue over to the Greenbelt Plateau / Marshall Mesa, where even more hiking awaits! There’s often wildlife roaming Doudy Draw: coyotes, elk, deer, black bear, mountain lions and a variety of birds all call southern Boulder home. Afternoon light at Doudy Draw is especially memorable, notably in the late autumn and early winter when the low shadows dance off the last stands of prairie grass. 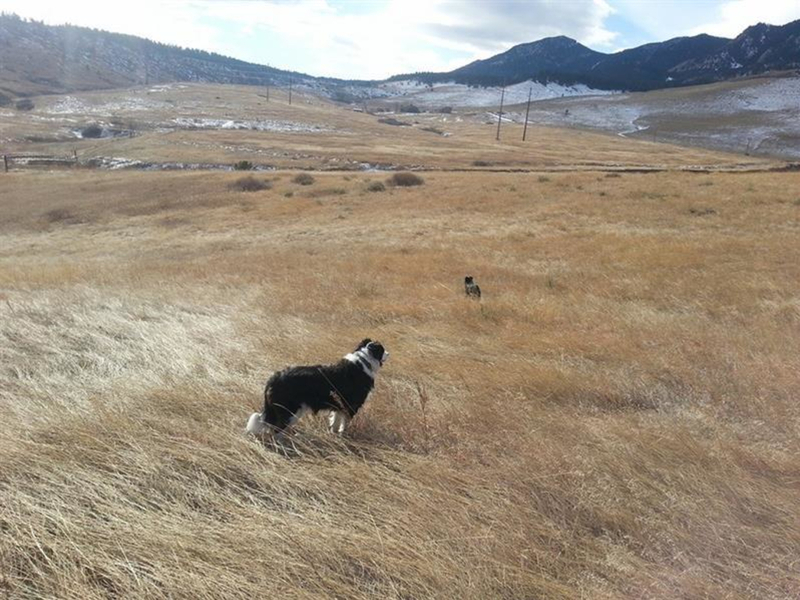 Dogs will enjoy the open space as well, especially when the Community Ditch is flowing with fresh mountain water, which it does from spring through early winter. Hikers hoping to reconnect with nature will relish the easy going first few miles of Doudy Draw. Those looking for a longer day can combine the Spring Brook Loop and the hoof up to Flatirons Vista for a legitimately big outing. Doudy Draw’s network of trails has special charm in the winter months that is worth seeing in person. From the intersection of Highway 93 and Eldorado Springs Drive (Highway 170), turn west onto Eldorado Springs Drive and follow the road 1.8 miles to the Doudy Draw trailhead on the left (south) side of the road. Note this is a multiuse trail network, so please yield to hikers, runners and horses.